In Daniel Craig’s Hotelier’s Guide to Online Reputation Management, Daniel describes a concept that I think is very important for hoteliers. 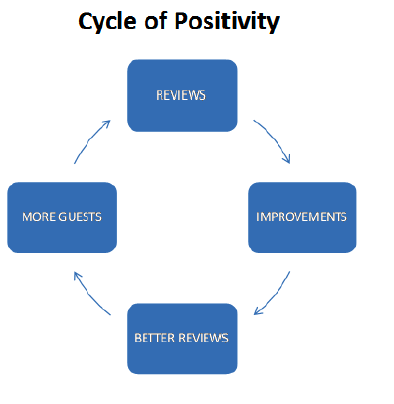 The Cycle of Positivity describes the benefits that result when hoteliers pay attention to online reviews. Daniel will be discussing the Cycle of Positivity and best practices for responding to online reviews at a free Webinar on March 31st at 10am Pacific.